I know it's been a while since I've posted a review or anything but some of the books I've finished reading I can't really discuss right now and others have been re-reads. 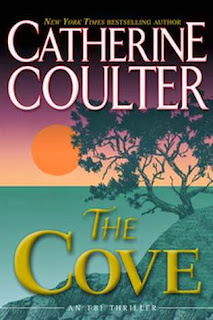 So I've decided to just talk about a few of my favorite mystery series (new and old). I found this series while browsing a used book store many many years ago. I read a few and loved them. Several years later I had a hard time trying to remember the author of this series so I could find them again. I'll tell you why this is relevant. Peaches Dann is an absent minded sleuth. 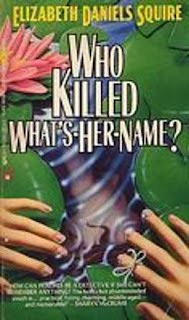 *grins* The first book in the series is "WHO KILLED WHAT'S HER NAME?" It's a nice cozy mystery that I enjoyed. I believe there are 7 books in the series. This is straight from Ms. Laurie's site: "Abby Cooper is a professional psychic intuitive who has everyone else figured out far better than she has her own life managed. She knows all too well that being psychic doesn't let her sidestep murder and mayhem - it just lets her know that it's coming. Luckily, she has plenty of help from her best friend and business partner, Candice Fusco - one badass P.I., along with the love of Abby's life - the gorgeous Dutch Rivers. Together, Candice and Dutch help keep Abby focused on finding the bad guys while often dodging the odd stray bullet or two." I just love this series to death. It's an auto buy for me. Abby and Dutch are the cutest couple. The author's link above has all the links to purchase her novels. Ms. Laurie also writes a Ghost Hunter series where the main character is a medium. Dillon Savich and Lacy Sherlock are husband and wife FBI agents who happen to get to work together. I've listened to all of these on audio and just can't get enough. There's 17 published in this series so far and a spin off series just started a couple months ago, A Brit in the FBI Series - Final Cut (I did a review of this one in September). 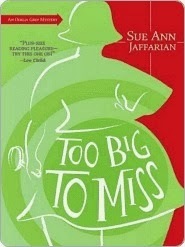 Quoted from Amazon: Too big to miss--that's Odelia Grey. A never-married, middle-aged, plus-sized woman who makes no excuses for her weight, she's not super woman just a mere mortal standing on the precipice of menopause, trying to cruise in an ill-fitting bra. 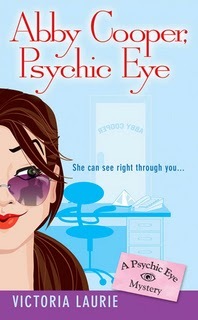 She struggles with her relationships, her crazy family, and her crazier boss. And then there''s her knack for being in close proximity to dead people . . . .
Again quoted from Amazon: Granny was famous for her award-winning apple pies-and notorious for murdering her husband Jacob at their homestead in Julian, California. The only trouble is, Granny was framed, then murdered. 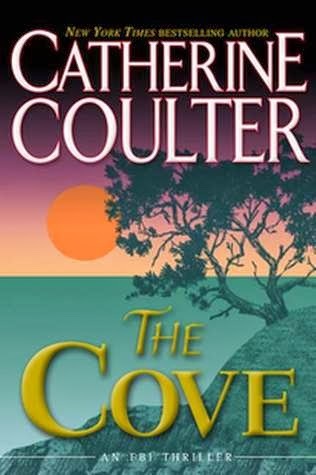 For more than one hundred years, Granny's spirit has been searching for someone to help her see that justice is served—and she hits pay dirt when she pops in to a séance attended by her great-great-great-granddaughter, modern-day divorced mom Emma Whitecastle. 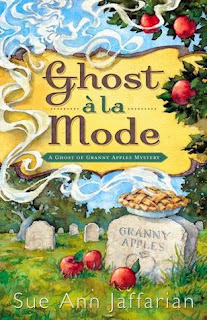 Together, Emma and Granny Apples solve mysteries of the past—starting with Granny's own unjust murder rap in the final days of the California Gold Rush. I found Sue Ann's books through a friend of mine. The Odelia Grey books caught my eye because I too am a plus sized gal and love to see characters who look like "real women"